Another couple of my favorite X-Men: Polaris and Havok. When I started reading X-Men regularly, Havok had just joined the X-Men and Polaris had been possessed by the villain, Malice, and was a member of Mr. Sinister’s Marauders. So, this loving couple wasn’t getting along so well. 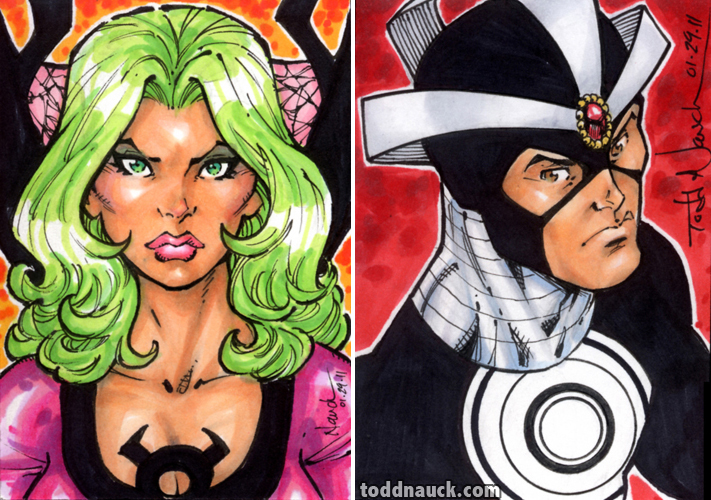 This entry was posted in Marvel, Sketch Cards by Todd Nauck. Bookmark the permalink.